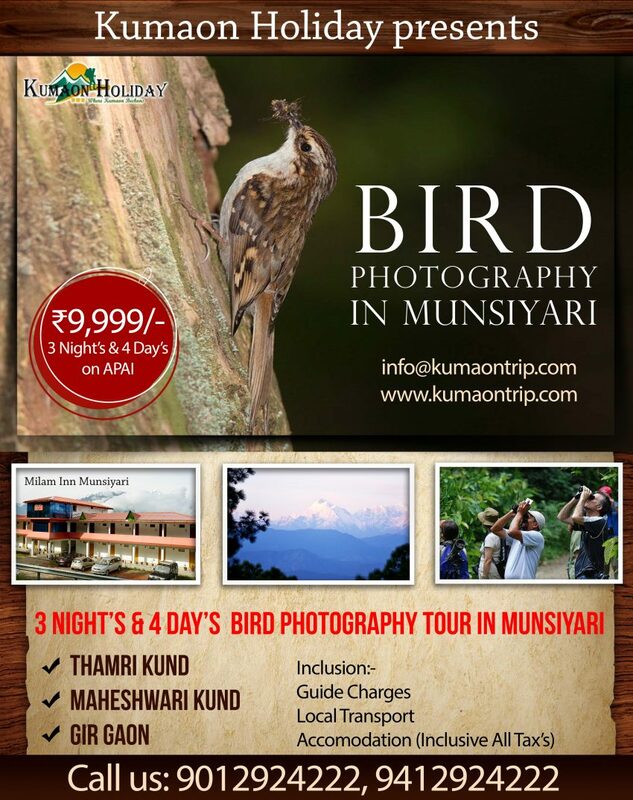 Kumaon Holiday offers you the tour of bird photography in Munsiyari. We will fulfill all your expectations would be met and the amazingly diverse and beautiful state would open up countless inconceivable dimensions of travel that might never even have occurred to you. This tour has been specifically put together for birders who want to spend their time in the upper Himalayas as a great birding experience as much as being out in the Indian mountains trekking and enjoying the Himalayan culture. It has a combination of bird walks, views, culture and traditions, local lifestyle, local cuisine etc.